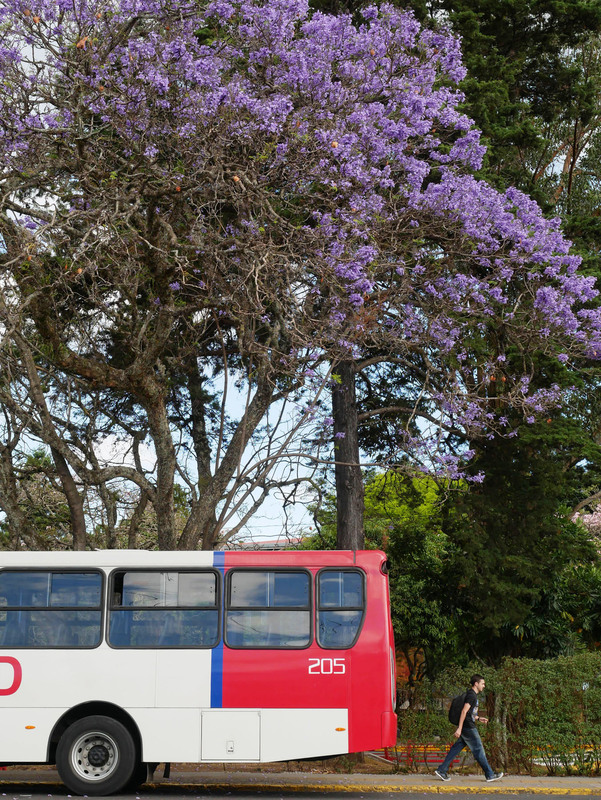 Although temperature-wise Spring in the tropics can go nearly unnoticed, trees seem to know better and people’s favorites are always there to remind us of the season. 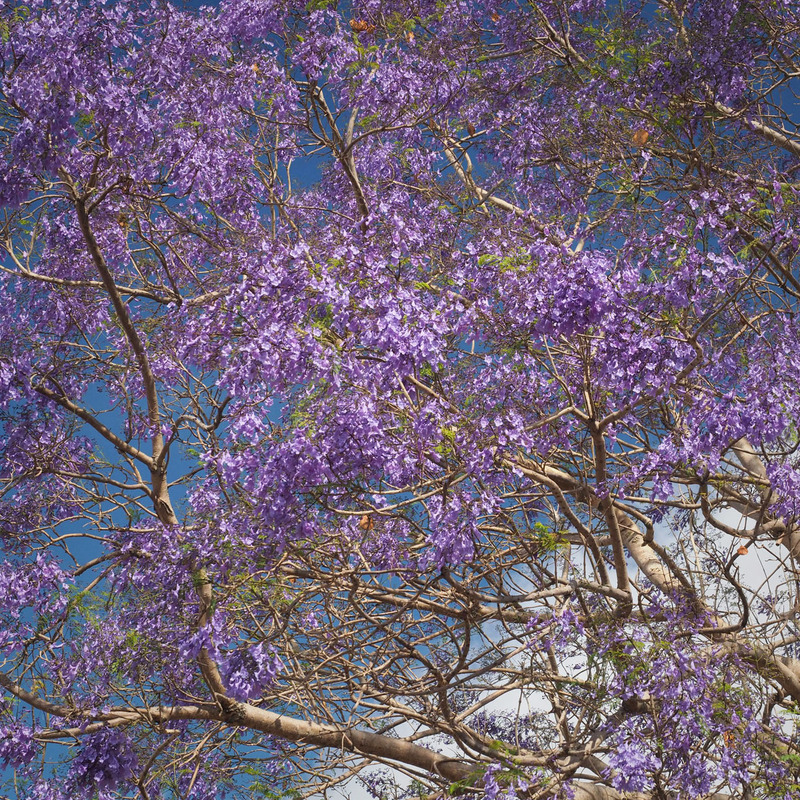 The Jacaranda tree belongs to that spectacular flowering family, the Bignoniaceae, and is native to the American tropics. In Brazil and parts of South America the name is accented in the last syllable and pronounced accordingly. This tree’s photos convinced me of the high quality of lenses for micro four thirds cameras when last year I photographed it and was blown away by the acutance of the images. 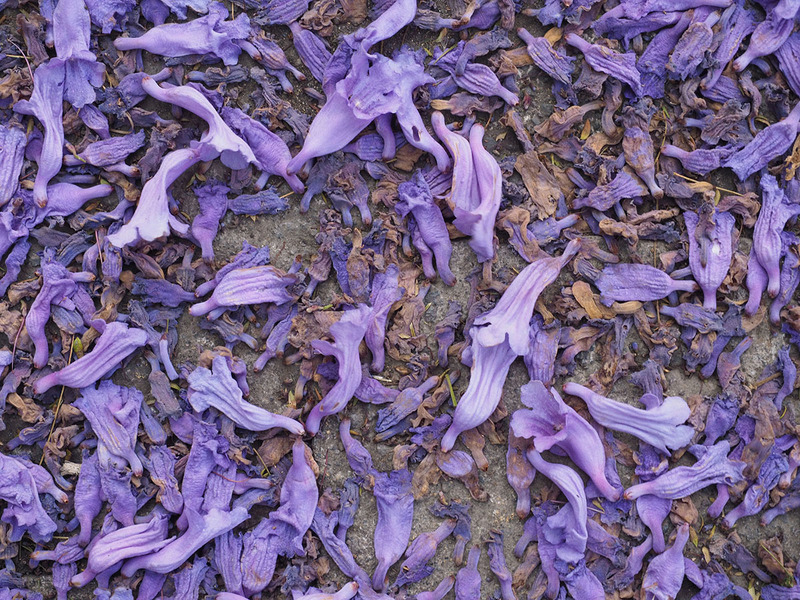 I photographed it this year using a polarizing filter that helped to bring out the violet flowers against the blue sky.